Roland Jupiter-8 - "Best analogue poly-synth ever?" Roland Jupiter-80 - "High-powered = 10 JD800 piled up!" 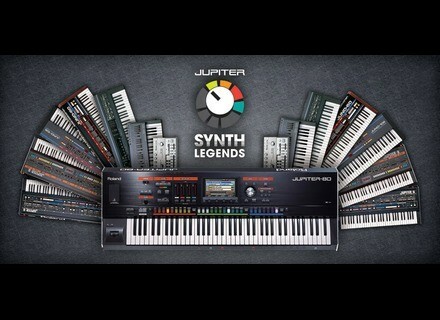 Roland Jupiter-80 - "Simply the best!" Roland Jupiter-80 - "Not bad at all"
Roland Jupiter-80 - "o my.."
Roland Jupiter-50 - "great synths and effects.. high price"
Roland Jupiter-50 - " Mixed experience"
Roland Jupiter-80 - "A real musical instrument!" Roland Jupiter-8 - " super stable, great"